 Franz Schall was born on 1 June 1918 at Graz in Steiermark, Austria. He was a flak gunner early in the war but, on 1 September 1941, he began flying training. On completion of his training in February 1943, Schall was transferred to JG 52 on the Eastern Front. Leutnant Schall was assigned to 3./JG 52. He gained his first victory on 6 May 1943, when he shot down a Russian LaGG-5 fighter. On 1 August 1943, Schall recorded his 10th victory when he shot down a Russian Il-2 Sturmovik ground-attack aircraft. He recorded another two Il-2s shot down on 24 October to raise his victory total to 20. Schall’s victory total had reached 26 by the end of 1943. On 16 January 1944, Schall shot down three Russian fighters for his 30th through 32nd victories. He claimed his 40th victim, a Russian P-39 fighter, shot down on 19 April. Schall recorded 11 victories in May, including three P-39s shot down on 2 May (45-47), his 50th victory on 17 May 1944, another Il-2, and three enemy aircraft shot down on 30 May (51-53). He shot down an Il-2 and a P-39 on 4 June to raise his victory total to 60. In July, Schall recorded a further 10 victories, including three enemy aircraft on 14 July (65-67) and four on 16 July (70-73). Schall was appointed Staffelkapitän of 3./JG 52 on 11 August 1944. This would herald his most successful period of the war. In August he recorded 38 victories, including three enemy aircraft shot down on 12 August (74-76), three on 24 August (79-81), 11, including six Il-2s, on 26 August (83-93), three further Il-2s on 28 August (94-96) and 13, including 11 Il-2s, on 31 August (97-109). However, Schall was shot down by flak and required to make forced-landings on four occasions, including once behind Russian lines from which he successfully negotiated his way back to his unit. On 25 September 1944, Oberleutnant Schall was transferred to Eprobungskommando Nowotny, commanded by Major Walter Nowotny (258 victories, RK-Br) operating the new Me 262 jet fighter. He was assigned command of 2. Staffel. In the morning of 8 November 1944, he shot down three USAAF P-51 fighters (120-122) escorting a USAAF bomber raid but then suffered flameouts of both engines. While attempting to glide back to his base at Hesepe, he was intercepted by a P-51, piloted by Lt James Kenney of the 357th FG, which badly damaged Schall’s Me 262 A-1a (W.Nr. 110 404) “White 7”. Schall baled out only to see his aircraft explode. Following Major Walter Nowotny’s death on 8 November 1944, the surviving pilots and personnel from Eprobungskommando Nowotny were incorporated into JG 7. Hauptmann Schall led 10./JG 7, based at Oranienburg, and continued scoring with the Me 262 but many of his victories were never confirmed by disintegrating official sources. On 4 April 1945, Schall shot down a P-51 (131) but was then shot down himself. He baled out surviving unharmed. On 10 April 1945, Schall shot down a P-51, for his 133rd, and last, victory, but then attempted an emergency landing at Parchim. His aircraft rolled into a bomb crater and exploded, killing him instantly. 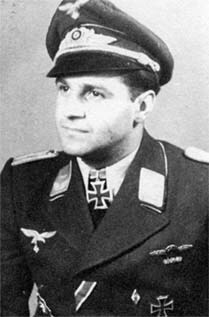 Franz Schall was credited with 133 victories in 530 missions. He recorded 116 victories over the Eastern front, including 61 Stormoviks. Of his 17 victories recorded over the Western front, all were gained flying the Me 262 jet fighter and include six four-engine bombers and 10 P-51 fighters. 13:10 Il-7 3./JG 52 62 883: tiefst. 14:25 U-2 3./JG 52 47 771: tiefst. 14:45 R-5 3./JG 52 98 174: tiefst. 18:20 Il-2 3./JG 52 87 634: tiefst. 18:26 Il-2 3./JG 52 87 632: tiefst. 18:15 Il-2 3./JG 52 97 131: tiefst. 12:35 Yak-9 3./JG 52 78 679: tiefst. 12:00 P-39 3./JG 52 41 822: tiefst. 12:05 Il-2 3./JG 52 51 741: tiefst. 12:08 Il-2 3./JG 52 51 751: tiefst.